CIR Director Carl Castro and Anthony Hassan with the Cohen Veteran Network at a special interest group on research with service members, veterans and military families at SSWR. 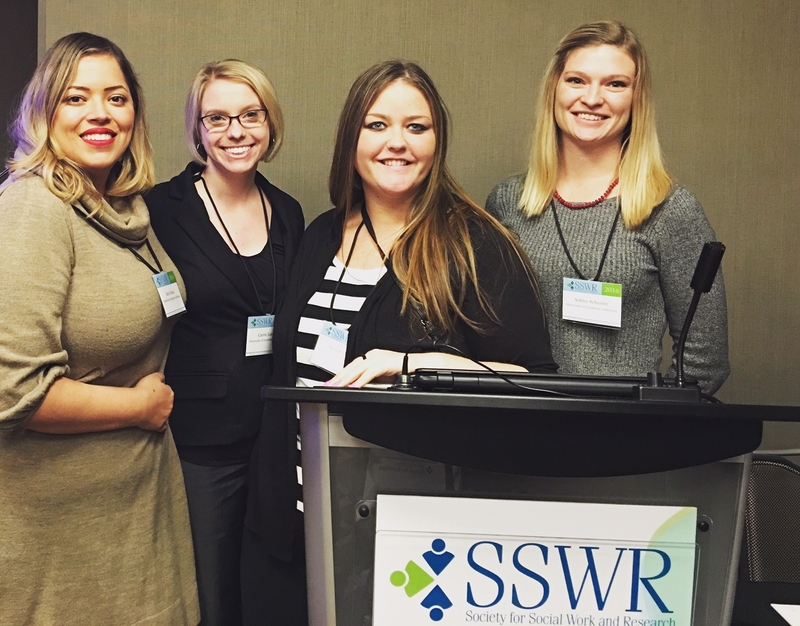 A more robust military social work track debuted at this year’s annual conference of the Society for Social Work and Research (SSWR) that highlighted research by the USC School of Social Work. Held in the District of Columbia earlier this month, more than a dozen presentations involved school researchers, including nine that stemmed from data gathered by the school’s Center for Innovation and Research on Veterans & Military Families. At this year’s conference, the American Academy of Social Work and Social Welfare also launched the Grand Challenges for Social Work to promote innovation, collaboration and expansion of proven, evidence-based programs aimed at making meaningful progress on some of society’s most intractable problems, like homelessness, income inequality, mental illness and climate change. Other school research presented included work on gang membership among military-connected youth, post-secondary aspirations of military-connected youth, and the use of educational resource guides for military students in public schools. Visit www.sswr.org/2016-conference-home for more information about this year’s conference. TOP PHOTO: Sara Ozuna, project specialist; Carrie Lucas, doctoral student, Sara Kintzle, research assistant professor; and Ashley Schuyler, project specialist, at the 20th annual conference for the Society for Social Work and Research from Jan. 13-17 in the District of Columbia.